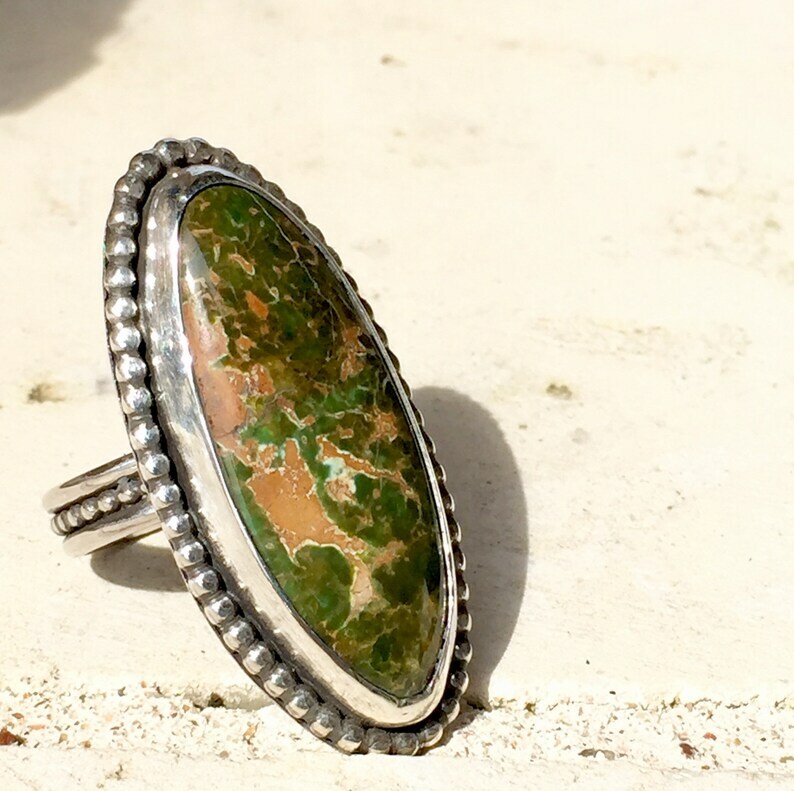 I found this green Hachita stone while treasure hunting in Santa Fe last year. Quality Hachita turquoise, from the Hachita mountains in New Mexico, is difficult to get my hands on so I jumped at this! This ring setting is created using a more free form approach in order to hug the stone closely. I used 925 sterling silver and love how the beaded silver wraps the elongated oval bezel. It is a size 8. The shank is made from three strands of silver soldered together, complimenting the setting perfectly. I finished with a black patina to draw attention to the natural shimmer of the Hachita and silver.